Why did the Obama administration spy on the Associated Press? The Associated Press on Monday revealed that the Department of Justice had secretly spied on AP reporters, obtaining two months' worth of telephone records in what was most likely an attempt to crack down on internal leaks. According to the AP, the Justice Department acquired records for more than 20 different phone lines associated with the news agency — including reporters' cell, office, and home lines — that could affect more than 100 staffers. Calling the move a "massive and unprecedented intrusion," AP President and Chief Executive Officer Gary Pruitt demanded that the DOJ explain why it had gone after the records. He also insisted that the government return the phone records and destroy all other copies of them. 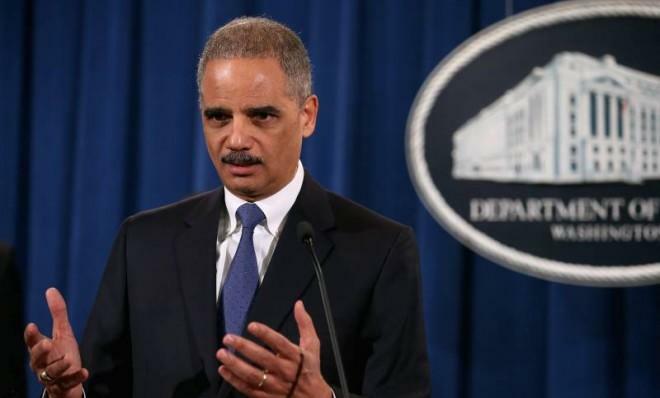 "There can be no possible justification for such an overbroad collection of the telephone communications of The Associated Press and its reporters," he said in a strongly worded letter to Attorney General Eric Holder. "These records potentially reveal communications with confidential sources across all of the newsgathering activities undertaken by the AP during a two-month period, provide a road map to AP's newsgathering operations, and disclose information about AP's activities and operations that the government has no conceivable right to know." He also accused the government of violating the news agency's First Amendment rights, saying, "We regard this action by the Department of Justice as a serious interference with AP’s constitutional rights to gather and report the news." The DOJ told the AP of the secret eavesdropping on Friday, though the department did not explain exactly why it had gone after the records, dated April and May of 2012. According to the AP, the records detail incoming and outgoing calls on reporters' personal phones, as well as office lines in New York, Hartford, Conn., and Washington, D.C. — including the agency's line at the House of Representatives. The AP suggested the snooping may have been an attempt to find who within the government leaked information about a foiled Yemeni terror plot that ran in a May 2012 AP story. As the AP notes, prosecutors had previously asked the agency and its reporters for that information, though the news agency declined to cooperate. According to the AP, phone records for five reporters and one editor who worked on that story were among those collected by the DOJ. SEE MORE: Should Cleveland destroy Ariel Castro's house? In an interview with the Washington Post, a lawyer for the AP warned that the intrusion would have a chilling effect on the agency's ability to effectively gather and report the news. "This action is a dagger to the heart of AP's newsgathering activity," lawyer David Schulz said. "Sources are not likely to talk to reporters who they know are being used as investigative tools by prosecutors. And that's what's happening here." Likewise, the American Civil Liberties Union strongly condemned the seizure as an "unacceptable abuse of power." "Freedom of the press is a pillar of our democracy, and that freedom often depends on confidential communications between reporters and their sources," Ben Wizner, director of the ACLU's Speech, Privacy and Technology Project, said in a statement. Rep. Darrell Issa (R-Calif.), who as chairman of the House Oversight and Government Reform Committee has sparred with Holder before, most notably on the Fast and Furious gun smuggling program, promised a House inquiry into the revelation. "They had an obligation to look for every other way to get it before they intruded on the freedom of the press," he told CNN. A spokesperson for the U.S. Attorney's office in Washington defended the DOJ's move, suggesting the department was allowed to secretly pull those records because of the ongoing nature of the criminal probe. "We must notify the media organization in advance unless doing so would pose a substantial threat to the integrity of the investigation," the office said, according to CNN. "Because we value the freedom of the press, we are always careful and deliberative in seeking to strike the right balance between the public interest in the free flow of information and the public interest in the fair and effective administration of our criminal laws." Matthew Miller, a former spokesman for Holder, told the Huffington Post that the DOJ's only other option would have been to subpoena the reporters. "This is how leaks get investigated," he said. "Leaking classified information is a crime, and there are usually only two parties who know who committed the crime, the leaker and the reporter. Getting access to phone records allows investigators to see who the possible source might have been and confront them with evidence of a crime."